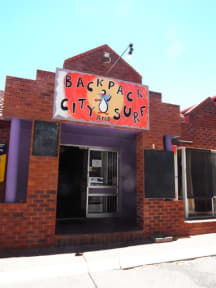 Backpack City and Surf has a family like atmosphere and is ideal for people that like to party hard in the pubs and clubs of Northbridge, while being able to rest well in the evenings. We have activities running every week, and heaps of guests and staff who are down for any adventure - You name it, we've got you covered! Check out our deals! Cheaper rates are available on weekly bookings. Any questions, feel free to contact us via email or phone. Great staff, great location. If you are up for a great laugh and a good drink, this is a great place, ask for Amanda she will show you how to have a party. Great craic, deffo recommend. I loved this hostel! The staff and the other guests were so much fun and I felt very welcome. I would definitely stay here again and would highly recommend it! Extremely good customer service and staff. Brand new mattresses felt very nice. Shower was a little wonky but everything was fine and I felt right at home. Thanks you guys for making my stay great. Comfy bed, easy walking distance to city Center train and bus station. Friendly staff, good place to stay. I enjoyed my brief stay here. The staff were very friendly and there seemed to be activities arranged most nights. Shower facilities were good, and the place was kept quite clean. There was nowhere to lock my belongings in my room, and the bunk bed was rickety and had a plastic-covered mattress, and there was little space for someone on the top to keep their things. The flourescent light was also right above my head. My room smelled like damp sweaty boy towels. Over all though, it was fine. 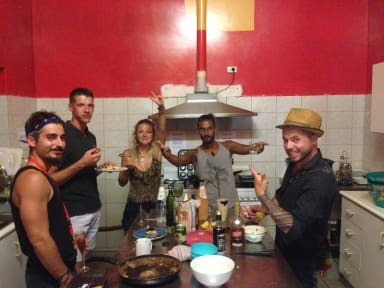 Great location and lovely people but the kitchen was always dirty during my stay. I understand this is due to other guests but I think a little more enforcement of tidiness and cleanliness is needed. Dirty, smelly, no security and felt unsafe. Great location though. On arrival unexperienced staff, when asked for key to our locker got told they don’t have keys as ‘we’re all friends here we don’t steal’. Room was extremly run down & dirty eg. Hole in the wall. Uncomftable mattress could feel the bars of the bed. Kitchen was filthy weird smell. Only stay here if you feel like a squatter. Only good thing was the location.